Mark Adam Hyman is an American physician and New York Times best-selling author. He is the founder and medical director of The UltraWellness Center and was a columnist for The Huffington Post. Hyman was a regular contributor to the Katie Couric Show, until the show's cancellation in 2013. Hyman is a proponent of functional medicine, a controversial form of alternative medicine. He is the board president of clinical affairs of the Institute for Functional Medicine. He was the editor-in-chief of and is a contributing editor to Alternative Therapies in Health and Medicine, a peer-reviewed journal. Hyman graduated from Cornell University with a bachelor's degree in Asian Studies. He received his Doctor of Medicine degree from the University of Ottawa and completed his training at the University of California, San Francisco's program in family medicine at the Community Hospital of Santa Rosa. Hyman started his medical career as a family doctor in rural Idaho and later as an emergency department doctor in Massachusetts. He was the co-medical director at Canyon Ranch in Lenox, Massachusetts, from 1996 to 2004. He opened The UltraWellness Center in a small shopping mall in Lenox after leaving Canyon Ranch. In 2009, Hyman testified before the United States Senate Committee on Health, Education, Labor and Pensions on integrative medical care. Hyman also participated in a Partners In Health program to bring medical care to Haiti following the 2010 Haiti earthquake. In December 2013, The Daniel Plan, a book Hyman co-authored with Pastor Rick Warren and Daniel Amen, became number 1 on the New York Times bestseller list. Hyman is the author of several books on nutrition and health, such as 10 Day Detox Diet. Hyman was named the Director of the Cleveland Clinical Center for Functional Medicine in September 2014. In April 2016, Hyman joined environmentalists and civil rights leaders in calling for federal investigations into U.S. fluoridation policy, writing that communities of color are at particular risk of adverse health impacts. In a book authored by Robert F. Kennedy Jr. (entitled Thimerosal: Let the Science Speak) Hyman wrote the preface in which he advocates for the removal of Thimerosal from vaccines. Hyman is a medical adviser to Bill and Hillary Clinton. Quackwatch lists Hyman's 2003 book Ultraprevention: The 6-Week Plan That Will Make You Healthy for Life as one of their non-recommended books. — (2005). Ultraprevention: The 6-week plan that will make you healthy for life. New York: Atria Books. ISBN 978-0-7434-4883-3. OCLC 57448242. — (2007). The ultrametabolism cookbook: 200 delicious recipes that will turn on your fat-burning DNA. New York: Scribner. ISBN 978-1-4165-4959-8. OCLC 156902321. — (2008). The UltraMind solution: Fix your broken brain by healing your body first: the simple way to defeat depression, overcome anxiety and sharpen your mind. New York: Scribner. ISBN 978-1-4165-4971-0. OCLC 297439691. — (2008). Ultrametabolism: The simple plan for automatic weight loss: Awakening the fat-burning DNA hidden in your body. New York: Atria Books. ISBN 978-0-7432-7256-8. OCLC 213354732. — (2009). The ultrasimple diet: Kick-start your metabolism and safely lose up to 10 pounds in 7 days. New York: Pocket Books. ISBN 978-1-4391-7131-8. OCLC 351316362. — (2012). The blood sugar solution: The ultrahealthy program for losing weight, preventing disease, and feeling great now. New York, NY: Little, Brown and Co. ISBN 978-0-316-12737-0. OCLC 639167583. — (2014). The blood sugar solution 10-day detox diet: Activate your body's natural ability to burn fat and lose weight fast. New York, NY: Little, Brown and Company. ISBN 978-0-316-23002-5. OCLC 843858725. — (2016). Eat fat, get thin: Why the fat we eat is the key to sustained weight loss and vibrant health. New York: Little, Brown and Company. ISBN 978-0-316-33883-7. OCLC 911070119. ^ a b "Haiti Relief Aid Unfurls". CBS. 17 January 2010. Retrieved 17 September 2013. ^ "HARDCOVER ADVICE & MISC". The New York Times. 8 April 2012. Retrieved 17 September 2013. ^ "Hardcover Advice & Misc". The New York Times. 29 March 2009. Retrieved 17 September 2013. ^ a b Mark Hyman (26 February 2009). 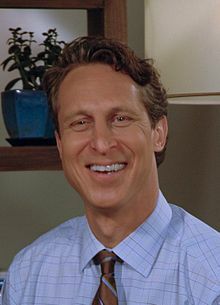 "Testimony of Mark Hyman, M.D." (PDF). Senate Committee on Health, Education, Labor and Pensions. Retrieved 17 September 2013. ^ "Mark Hyman". The Huffington Post. Retrieved 17 September 2013. ^ a b "Dr. Mark Hyman". KAC Productions. Archived from the original on September 25, 2013. Retrieved 17 September 2013. ^ Pang, Ran; Wang, Shihan; Tian, Lin; Lee, Mark C.; Do, Alexander; Cutshall, Susanne M.; Li, Guangxi; Bauer, Brent A.; Thomley, Barbara S. (2015). "Complementary and Integrative Medicine at Mayo Clinic". The American Journal of Chinese Medicine. 43 (8): 1503–1513. doi:10.1142/S0192415X15500858. ISSN 1793-6853. PMID 26621439. ^ Gorski, David (September 29, 2014). "Quackademia update: The Cleveland Clinic, George Washington University, and the continued infiltration of quackery into medical academia". Science–Based Medicine. Retrieved 2016-12-02. ^ "Viewpoint: Mayo Clinic's embarrassing embrace of 'alternative' and 'complementary' medicine now includes nutrition | Genetic Literacy Project". Genetic Literacy Project. 2017-09-18. Retrieved 2018-09-30. ^ "Integrative medicine: Alternative becomes mainstream". Mayo Clinic. Retrieved 2018-09-30. ^ "Board of Directors". Retrieved 15 September 2014. ^ "Physician-author Mark Hyman". PBS. 27 March 2012. Retrieved 17 September 2013. ^ "Editorial Board". Alternative Therapies. Retrieved 17 September 2013. ^ a b c d "MARK HYMAN, MD PRACTICING MEDICINE FOR THE FUTURE". Alternative Therapies in Health and Medicine. 10 (4): 82–89. July 2004. ^ "Turning Point: Q&A with Mark Hyman, MD". Kripalu. 7 April 2012. Retrieved 17 September 2013. ^ "Excerpt:The UltraMind Solution'". ABC. 14 January 2008. Retrieved 17 September 2013. ^ Len Sherman (ed.). "The Canyon Ranch Guide to Living Younger Longer". Canyon Ranch. ^ Derek Gentile (26 January 2010). "Local couple provides medical relief for grieving Haitians". The Berkshire Eagle. Pittsfield, Massachusetts. ^ "Full Committee Hearing — Integrative Care: A Pathway to a Healthier Nation". US Senate Committee. 26 February 2009. Retrieved 17 September 2013. ^ Jenn Smith (11 January 2011). "Berkshire volunteers reflect on Haiti's road ahead". The Berkshire Eagle. Pittsfield, Massachusetts. ^ Anugrah Kumar. "Rick Warren's Bestseller 'Daniel Plan' Seeks to Change Lives, Not Just Food Habits". Christian Post. Retrieved 31 January 2014. ^ "Rick Warren, co-authors discuss their diet program, "The Daniel Plan"". CBS News. Retrieved 31 January 2014. ^ Pesce, Nicole Lyn (Feb 11, 2014). "'10 Day Detox Diet' author Mark Hyman tells how to end sugar addiction and clean up your diet". New York Daily News. ^ Townsend, Angela (22 September 2014). "Cleveland Clinic to open Center for Functional Medicine; Dr. Mark Hyman to be director". Cleveland.com. Retrieved 29 November 2014. ^ Functional Medicine (CS31) - YouTube. YouTube. McGill Office for Science and Society. 13 April 2019. Event occurs at 6:18. Retrieved 18 April 2019. ^ Amy Chozick (April 11, 2014). "He Tells the Clintons How to Lose a Little". The New York Times. Retrieved April 14, 2014. ^ "Nonrecommended Books". Quackwatch. Retrieved 6 March 2014. Gorski, David (14 April 2014). "Bill and Hillary Clinton go woo with Dr. Mark Hyman and 'functional medicine'". Science-Based Medicine. This page was last edited on 18 April 2019, at 16:04 (UTC).